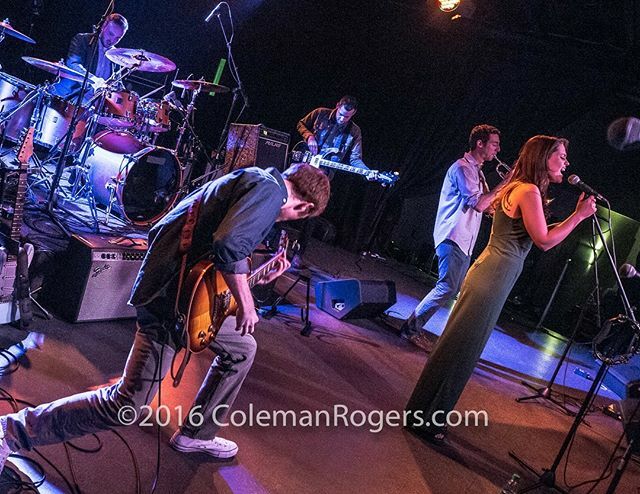 Gretchen and the Pickpockets is a six-piece soul/jazz/rock band that features heavy horn lines and improvisation that started with siblings Gretchen and Mike Klempa. Named after a hometown road with a history for larceny, the group has become known for their unique blend of genres and their energetic live shows. Based out of Boston, Gretchen and the Pickpockets have been active in the New England area since 2013. Recently named “Jazz Act of the Year” at both the Boston Music Awards and New England Music Awards (2018). Other recognitions include multiple Iguana Music Fund grants from Club Passim, Best in State: New Hampshire 2015 at the New England Music Awards and Best Rock Band 2015 at the Seacoast NH Spotlight Awards. They have supported bands such as Houndmouth, Marco Benevento, Haley Jane & The Primates, The Suitcase Junket, Kat Wright and Will Dailey. Falling Rising, the band’s new full-length album, was recorded in Boston at Dimension Sounds Studio, with engineering by Dan Cardinal (Darlingside, Ballroom Thieves), mixing by Nick Nagurka (Vulfpeck) and mastering by Emily Lazaar (Foo Fighters). Past Gretchen & the Pickpockets tours included dates in New York City, Chicago, Milwaukee, Raleigh, Nashville, Asheville, Durham, Portland, Maine, and Portsmouth New Hampshire. The band will tour in support of Falling Rising with shows in New York City and Western New York in late April; and a July tour that includes Nashville, Raleigh, Washington, DC, Philadelphia and several other markets.